On November 12, 2018, Christie's Auction House will be auctioning this amazing Rolex Chronometer PAN AM wall clock that has a Circa of 1960. A rare find these large size clocks are the ultimate trophy for the collector of Rolex ephemera. 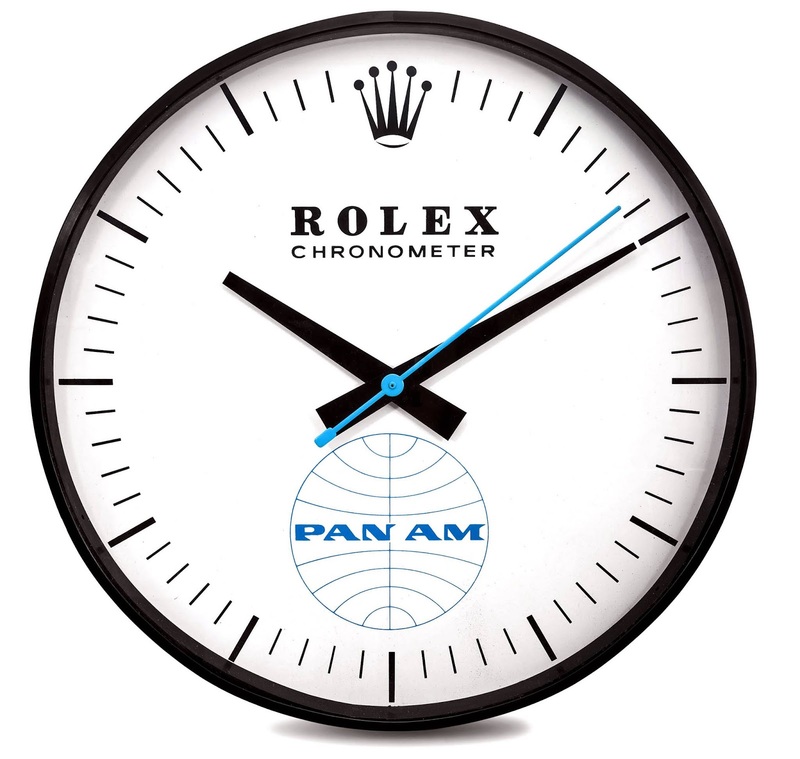 Manufactured for Pan Am or Pan American World Airlines by the Hanover Manufacturing, Inc. in Ohio, they were used in the offices of Pan Am, at airport check in desks and perhaps also at Rolex retailers as advertisement for the collaboration between the two firms, resulting in the creation of the celebrated GMT-Master in the mid-1950s.